In the chapters so far, we have discussed in detail the design of mechanical systems and robots based on self-organization, from their historical development to specific design examples. The authors hope that these chapters enable the reader to understand that these are fundamentally multiple-module systems that have flexibility that cannot be expected of traditional mechanical systems. 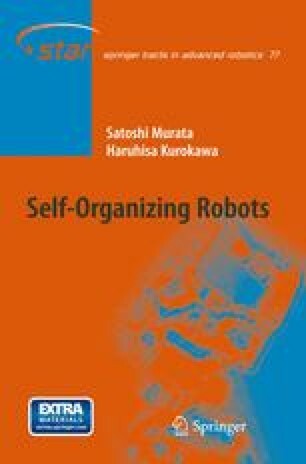 In this chapter, we discuss the limitations and future challenges facing self-organizing robots built with electro-mechanical technologies, and then, returning to the philosophy of “design based on self-organization” one last time, consider the goals we should set for self-organizing robots from a relatively long term perspective. One such goal is to make molecular machines that self-organize.